With the advancements in photo-editing technology through applications like Snapchat and Instagram on a rise, the level of physical 'perfection' is now all over social media. People's perceptions of beauty worldwide are changing, which can take a toll on a person's self-esteem and can trigger body dysmorphic disorder. Boston Medical Center (BMC) researchers in a JAMA Facial Plastic Surgery Viewpoint argued that body dysmorphic disorder (BDD) is an excessive preoccupation with a perceived flaw in appearance, often characterised by people going to great lengths to hide their imperfections. This can include engaging in repetitive behaviours like skin picking and visiting dermatologists or plastic surgeons hoping to change their appearance. The disorder affects around 2 per cent of the population and is classified on the obsessive-compulsive spectrum. The viewpoint authors reference studies that show teen girls who manipulated their photos were more concerned with their body appearance, and those with dysmorphic body image seek out social media as a means of validation. Additional research has shown 55 per cent of plastic surgeons reports seeing patients who want to improve their appearance in selfies. 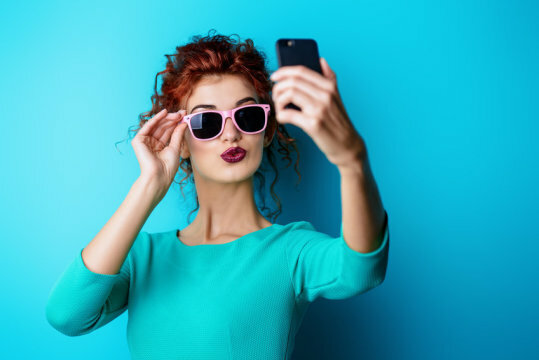 Director of the Ethnic Skin Center at BMC and Boston University School of Medicine, Neelam Vashi said, "A new phenomenon called 'Snapchat dysmorphia' has popped up where patients are seeking out surgery to help them appear like the filtered versions of themselves." Vashi added, "Filtered selfies can make people lose touch with reality, creating the expectation that we are supposed to look perfectly primped all the time. This can be especially harmful to teens and those with BDD, and it is important for providers to understand the implications of social media on body image to better treat and counsel our patients." According to the authors, surgery is not the best course of action in these cases, because it will not improve, and may worsen underlying BDD. They recommend psychological interventions such as cognitive behavioural therapy and management of the disorder in an empathetic and nonjudgmental way.